The board can also measure small capacitors in different ranges of values using a dual slope integration method. The board can be modified, if desired, to achieve better measurement resolution. 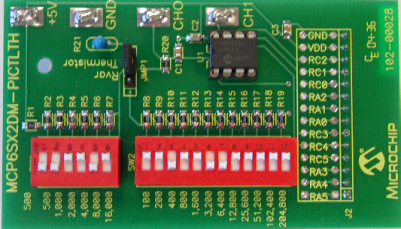 The boards demonstrate a simple, inexpensive implementation of a CAN bus. 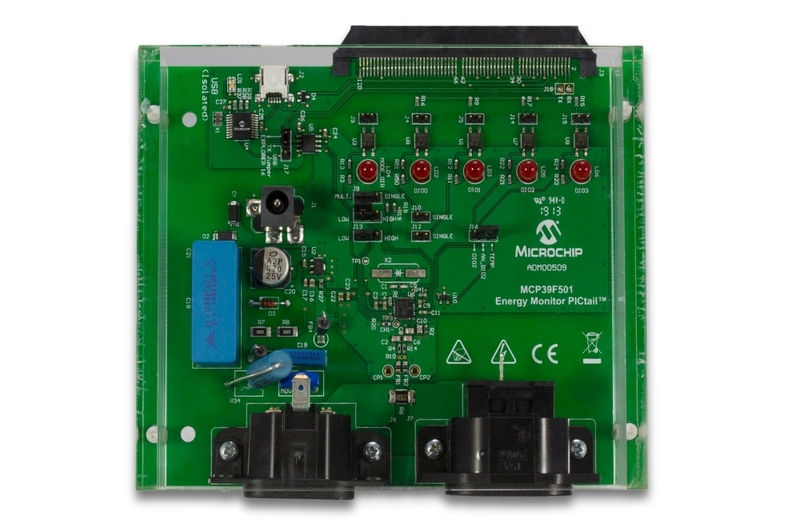 The MCP2515 node transmits its input (push button) information at regular intervals and request input (push button) information from the MCP25020 at regular intervals. An LED on each node reflects the state of the other node's push button. The op amp converts the photodiode’s output current to voltage (transimpedance amplifier). Its output goes to one of the PGA’s inputs. The other PGA input is available for any other desired source. 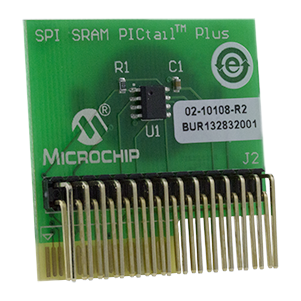 This opens the possibilities of processing other sensor signals, and of increasing the number of PIC® microcontroller I/O pin available for other purposes. 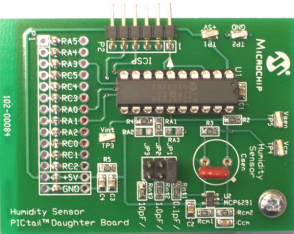 This board works with the PICkit™ 1 Flash Starter Kit (see DS40051) and the Signal Analysis PICtail™ Daughter Board (see DS51476). 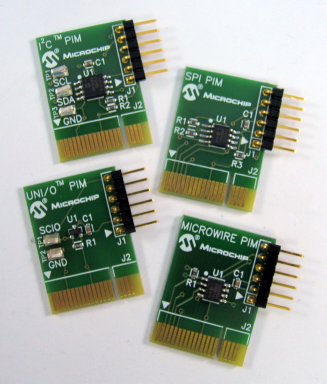 With these additional tools, a complete solution is achieved: PC software interface, PICmicro® microcontroller, firmware programmability, 10-bit ADC (on the microcontroller), and firmware (with re-locatable assembler code) for the microcontroller. Provide multiplexing between two inputs; the other input can be any desired source. 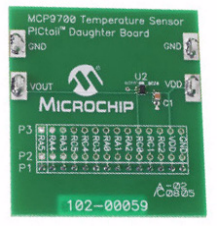 This opens the possibilities of temperature correcting another sensor, and of increasing the number of PIC® microcontroller I/O pins available for other purposes. Two on-board variable resistors allow users to experiment with different designs on the bench. DIP switches on the board select certain resistors (in a binary weighted sequence) to add together, thereby emulating the series resistor in the voltage divider and the thermistor’s change in resistance over temperature. Firmware (with re-locatable assembler code) for the microcontroller. 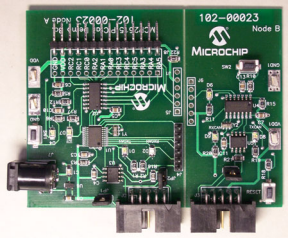 The Mixed Signal PICtail™ Evaluation Board enables quick and accurate evaluation of the performance of several Microchip DACs, ADCs, LDOs, Vrefs and Operational Amplifiers. The board interfaces to the PICkit™ 1 Flash Starter Kit or can utilize the on-board PIC16F767 for “stand-alone” operation. 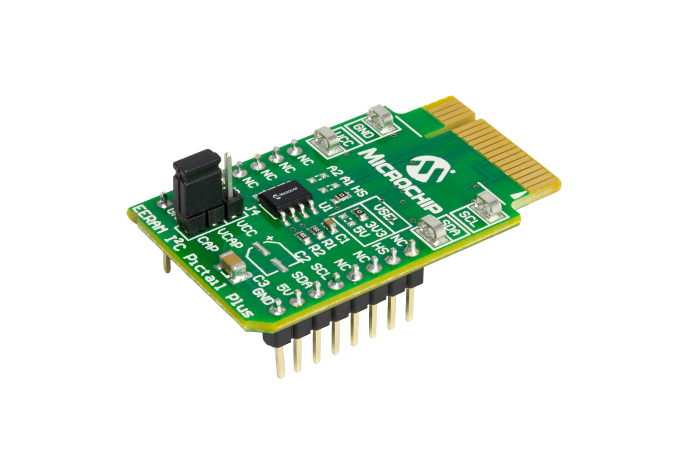 The user can take advantage of the existing PIC® microcontroller library of software routines or develop their own routines. The PIC® microcontroller can select which DAC to configure, which ADC channel to read, and utilize a dual op-amp for various buffer implementations. 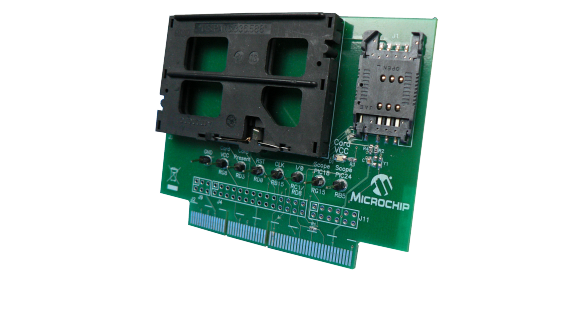 To get started, a compatible MCU development board is required. 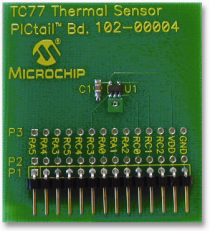 In general, a board is compatible if it has a PICtail™ or PICtail™ Plus interface expansion port. 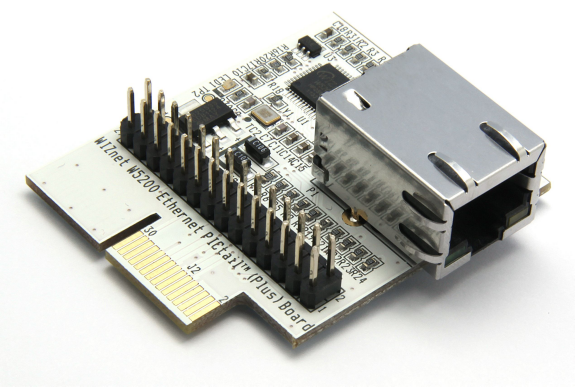 Most PICDEM demonstration board do not have the female header installed, so if using a PICDEM board, a 14x2 female connector is included with this kit for the user to install onto the development board if necessary. When connecting to the two boards together, pay close attention to the orientation of the connector and pin alignment. A total of 7 jumper locations are available. As shipped from the factory, some of the jumper locations are bridged by circuit traces forming a default setup. To change this, the user will need to cut the traces and install pins and a block jumper. Afterward, the features can be enabled or disabled easily by installing or removing the jumper. 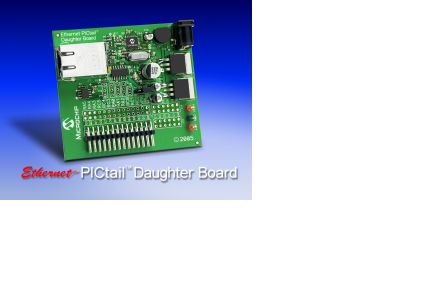 The Ethernet PICtail™ Daughter Board provides a cost-effective method of evaluating and developing Ethernet control applications. The board is designed for flexibility and can be plugged into a wide selection of demonstration boards, including the PIC18 Explorer (DM183032). The development board is populated with the 28-pin ENC28J60 Ethernet controller which interfaces to the RJ-45 female connector. 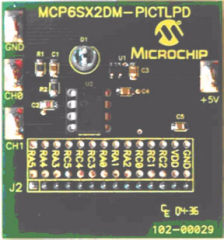 With a standard 28-pin PICtail pin out, the board is easily interfaced to Microchip’s 8-bit demonstration boards. 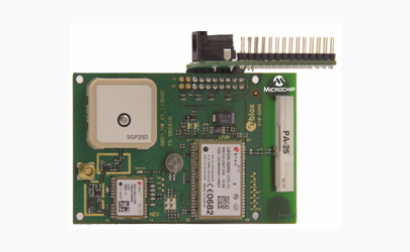 The RN-131-PICtail™/ PICtail Plus Daughter Board allows customers to easily develop Wi-Fi applications using Microchip’s 8, 16 and 32-bit PIC® microcontrollers. 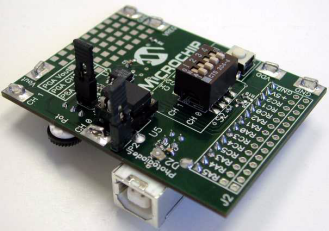 Includes a fully integrated TCP/IP stack allowing for a simple serial to Wi-Fi connection to the microcontroller.